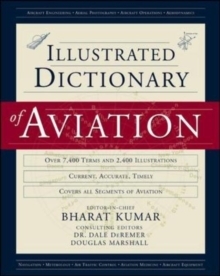 Illustrated Dictionary of Aviation is an A-Z compilation of terms, definitions and illustrations, spoken in the aviation worldIn general aviation, commercial airline, and military sectors. It can be used as dictionary, as reference, and as a learning tool. Education facilities, both academic and flight-training schools, could utilise. Up-to-date information and terminology.